2 transponders already added DD Freedish for MPEG4 channels. Some test channels already running in MPEG4 mode. To receive these channels you need a mpeg4 Set-Top Box. You can check Frequencies Details and channel no’s from here. DD Freedish now started to provide EPG for all channels. you can check on Official website of doordarshan (www.ddindia.gov.in). So now you don't worry about schedule of upcoming programs. 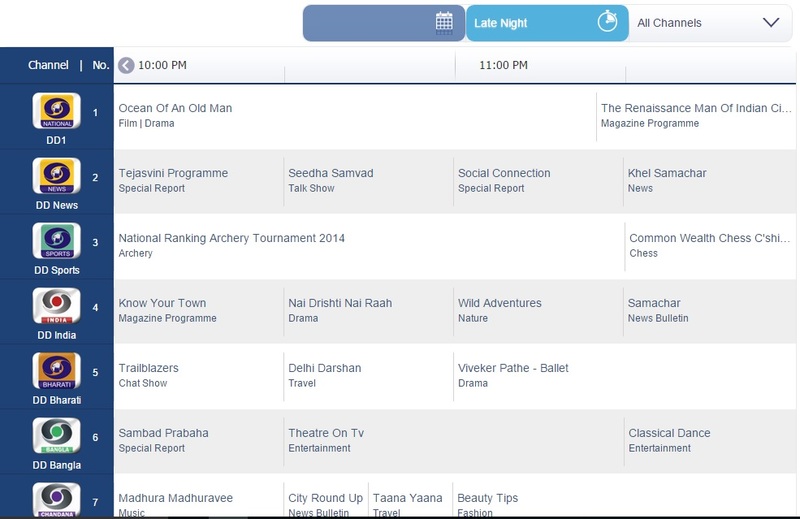 Very soon you will see this EPG in DD Freedish platform. You just need a EPG enable set-top box. DD Freedish , free-to-air set-top box easily available in your local market and online shopping websites.